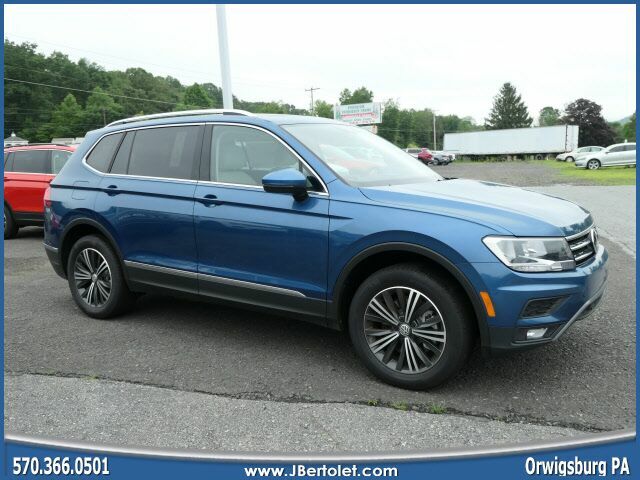 This Silk Blue Metallic 2019 Volkswagen Tiguan 2.0T SEL 4Motion might be just the 5 dr hatchback for you. This one's on the market for $31,328. Complete with a stunning blue exterior and a storm gray interior, this vehicle is in high demand. View this beauty and our entire inventory today! Call for more details. Contact Information: J Bertolet Volkswagen, 555 Rt 61, Orwigsburg, PA, 17961, Phone: (570) 366-0501, E-mail: johnbertolet@jbertolet.com.